Kula's demonstration proceeds step by step. 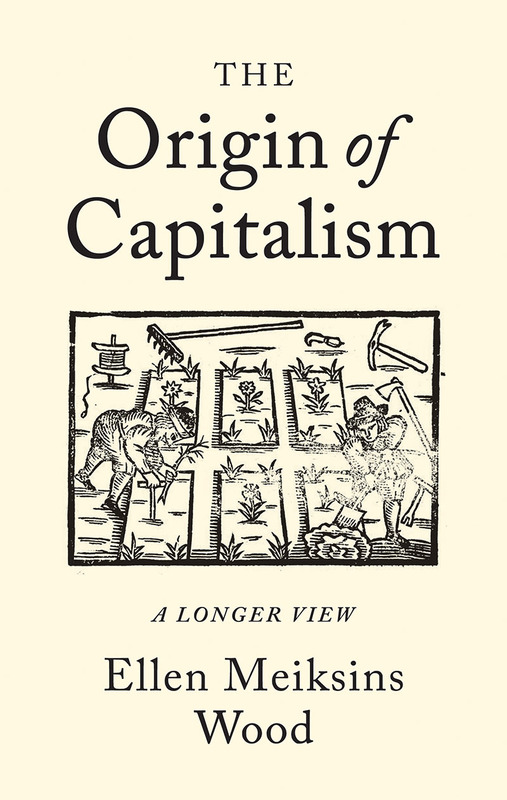 It analyses the very dynamic of the feudal economy, and its functional possibilities for the seigneurial economy oriented towards the export trade; for the peasant plots which sought to produce a surplus for the local market; for the craft guilds with their difficulties in a relatively unurbanized society. Numerous Polish monographs-studies of production and prices-provide documentation for Kula's hypotheses. 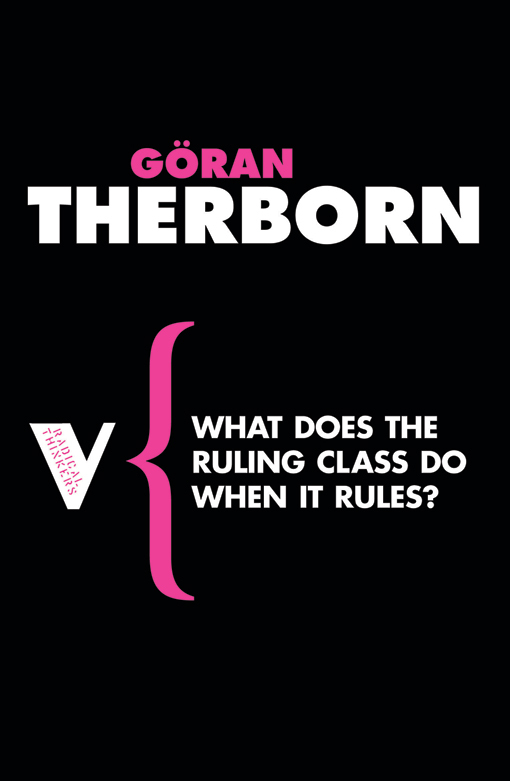 His model is then submitted to the test of the "long-term dynamic.” The problem for it is to ascertain “the constant or recurrent phenomena whose cumulative action determined structural transformations.” For each of the parties to the system, nearly always unconsciously, by merely adapting their historical calculations to changing economic or political conjunctures, to their particular situation, to the resistances of the others, eventually falsified the inter-play of the system and altered the model so much that in the end it disintegrated. 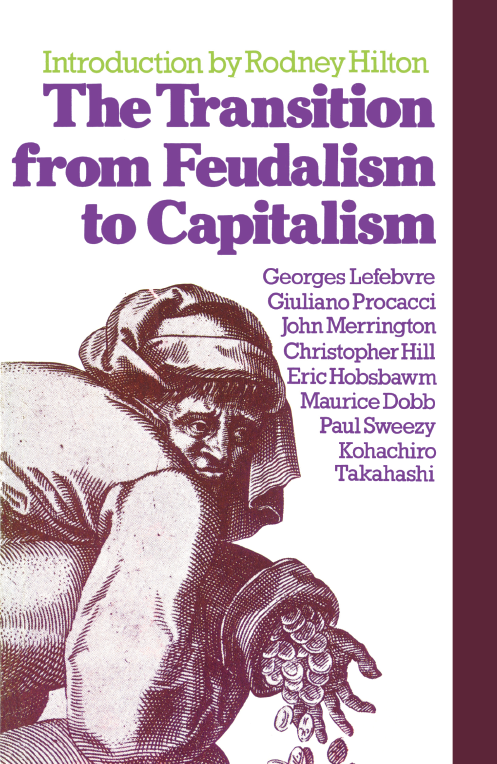 Thus from 1820 to 1860 the whole system was overthrown in a Poland that remained “feudal,” yet where the landowners had become capitalist entrepreneurs whose behaviour would have been aberrant and impossible in 1780 or so. Kula demonstrates the possibility of sudden ruptures in an economic model, once its resilience has been tried too repeatedly by a number of contradictions working in the same direction — contradictions some of which may be internal or inherent to the system itself, and others external and sometimes unpredictable (for example, the halt of European purchases of Polish cereals during the Continental System). His analysis of these is unerringly subtle and logical. 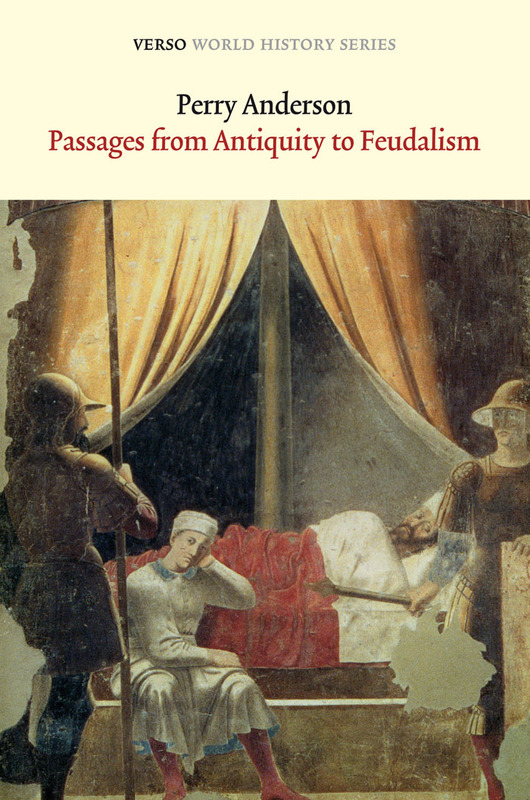 Kula's work is thus an example of a Marxist problematic mastered, assimilated and elevated to the level of a lucid and intelligent humanism, and a broad explanation of the evolution of the collective destiny of men. All the findings of Polish and non-Polish economic and historical research are gathered here in an effort of objective and patient reflection, of unusual intellectual honesty. 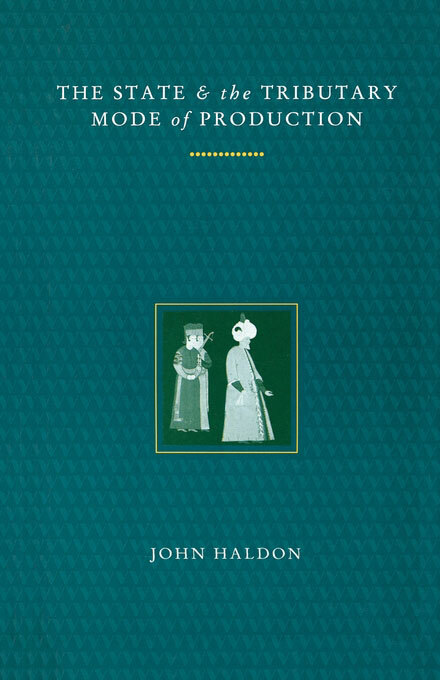 The subject of this book — in effect, underdevelopment in modern history — is of such great interest that this novel approach to it, at once very general in its analysis of a phenomenon of long duration, and very concrete in its account of the daily economic calculations of peasant, lord, magnate or squire, is an important event for historians. In the excerpt below, Kula defends the concept of an "economic system" and the theorization therof. "Grain Doesn't Pay." 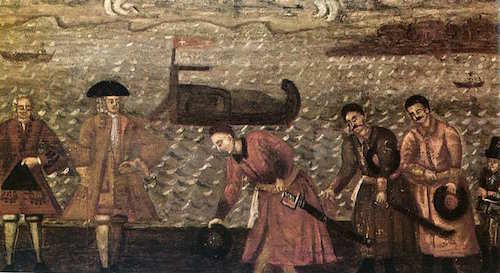 Detail from the obverse of a two-sided Polish painting illustrating the falling profitability of agriculture over the course of the eighteenth century. via Wikimedia Commons. 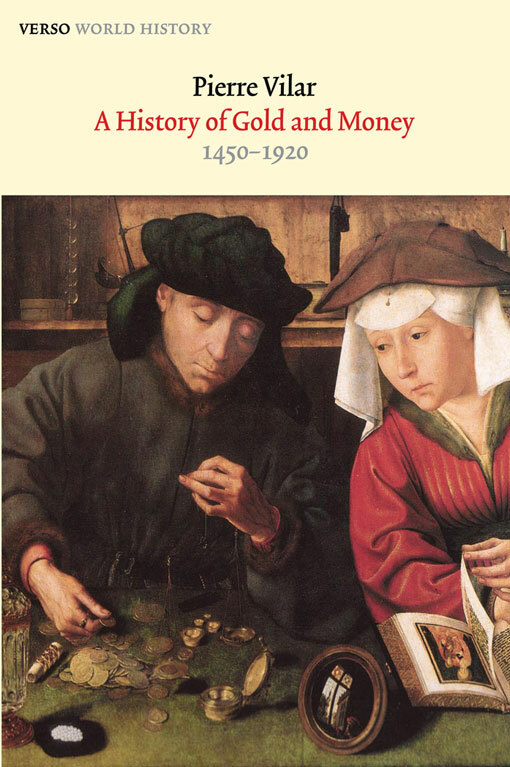 In the preceding chapters we have studied the mechanism governing the operation of the Polish economy during the sixteenth to eighteenth centuries. 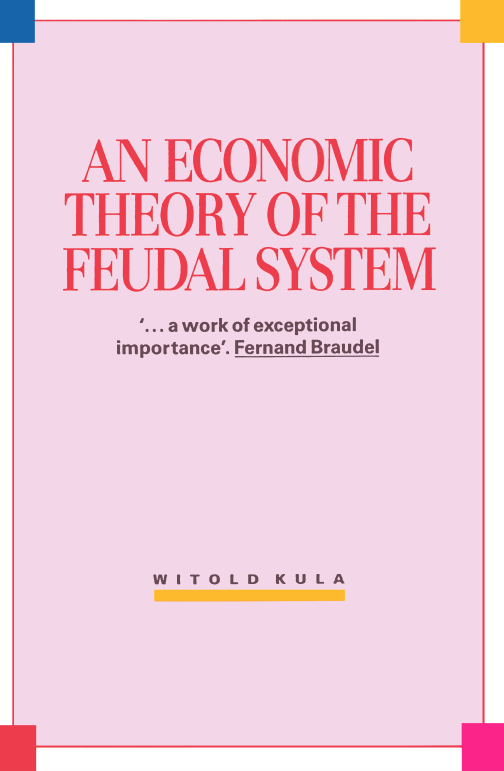 We, therefore, regard this work as contribution to the economic theory of the feudal system. Theoretical construction is not possible where there are no recurring phenomena, and traditional historical science denied on principle the existence of any such phenomena. 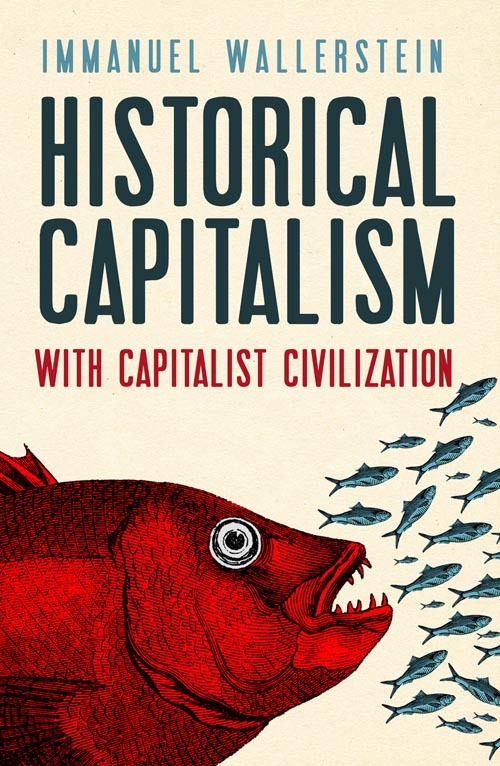 We have defended elsewhere the tendency to minimize the specificity of historical knowledge within the framework of the social sciences.1 Traditional historians inflated it out of proportion for the simple reason that they had little familiarity with disciplines such as economics and sociology. Social phenomena are actually non-recurring, if regarded only in a superficial and descriptive light. In the capitalist system every crisis is actually “different,” “unique.” But this does not at all keep us from formulating a theory of conjunctural crises under capitalism, generalizing the elements recurring in each of them. In order to elucidate our thesis we shall try “leaping forward” half a century to the middle of the nineteenth century, into the Kingdom of Poland under the Tsar of Russia.2 [The Kingdom of Poland (the so-called “Congress Kingdom”) was a product of the Congress of Vienna in 1815. It designated the part of Poland ruled by Russia and continued in existence till the Russian Revolution of 1917. – Trans.] This is still a feudal world, but how different it is! (1) Up to the end of the eighteenth century, the iron principle governing the economic activity of the nobility is to avoid expenditures in money at all costs. During the nineteenth century the nobility begins to look for propitious opportunities to invest money in production, even if they have to go into debt in order to do so. (2) Up to the end of the eighteenth century, the value of agricultural property is generally in proportion to its area. The same is true of production. During the nineteenth century the value of property depends much more on the investments made in it than on its area. If a part of an estate is sold and the money invested in the rest of the property, its value is increased — something inconceivable before the end of the eighteenth century. (3) Up to the end of the eighteenth century, the peasants attempt to run away, and the lords attempt as far as possible to track down the fugitives. During the nineteenth century, on the other hand, evictions take place; the peasant clings to the land, while the lord tries to drive him out. 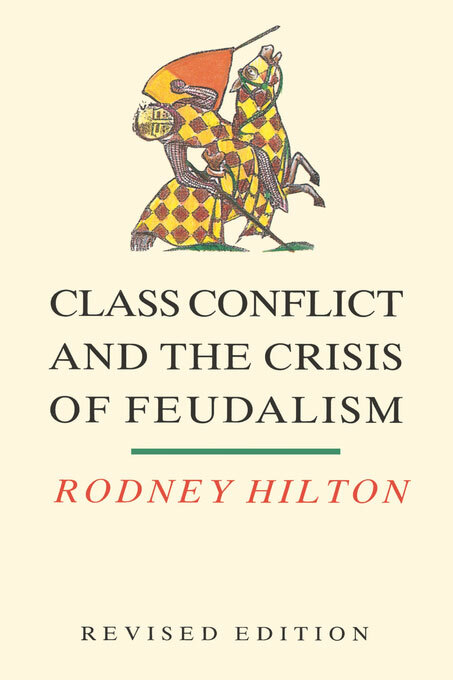 (4) Up to the end of the eighteenth century, the feudal lords attempt to maintain the economic differentiation among the peasants within certain limits; some plots larger than others are necessary, but they should be neither too large nor too small (we have purposely refrained from the use of the deceptive terms “richer” and “poorer”). During the nineteenth century, when economic differentiation among the peasants is on the rise, the lord intervenes in order to accentuate it even more. He creates conditions favourable to the well-to-do peasants, leading them to change over from the labour rent to the money rent system, whereas he drives off the poorest peasants or houses them in buildings adjoining his house, forcing them to work for him whenever he needs them. (5) Up to the end of the eighteenth century, wage labour is relatively expensive in Poland. There are a number of different paths leading to this conclusion. The word of Polish contemporaries cannot be used as evidence in this case, since the dominant class complains at all times and in all places of the high price of manpower. The opinions of foreigners active in Poland, e.g. the managers of manufacturing enterprises,3 are of much greater value. Of decisive value, however, is a comparison between the wages and the prices of mass consumption goods in Poland and those in the economically more advanced countries at the time. During the nineteenth century Poland, like all economically backward countries, begins to have wage labour which is clearly less expensive than that in the most developed countries. (6) Up to the end of the eighteenth century, the upper nobility feeds and employs hundreds and thousands of impoverished families of the nobility. During the nineteenth century it no longer has need of them; rather, it needs a few skilled agronomists and engineers. Most of these noblemen, superfluous by now, continue to serve the same class, but in an indirect way, for example as officials in the state bureaucracy. A minority of the lower nobility passes into the ranks of the supporters of national independence and social revolution. (7) Up to the end of the eighteenth century, the income both of the nobleman and of the peasant is determined, in the course of short-term fluctuations, by the harvest, ceteris paribus. During the nineteenth century the effect of market phenomena, particularly fluctuations in prices in the course of a particular conjuncture, becomes much stronger than the effect of the harvest. (8) Up to the end of the eighteenth century, neither the economy of the nobleman, nor that of the peasant, has any possibility of going bankrupt in the strict economic sense of the term (i.e., a state of insolvency brought about by a miscalculation or by a change in the elements entering into calculations). If a demesne or a peasant plot goes to ruin during this period, the principal cause is to be sought in the area of extra-economic phenomena. During the nineteenth century bankruptcies become commonplace. (9) Up to the end of the eighteenth century, the general movement of prices fluctuates in the opposite direction to fluctuations in the national income. In this sense, market phenomena represent to a certain degree a moderating factor in economic life. The income of an agricultural enterprise (whether belonging to lord or peasant), as expressed in money, has a narrower range of fluctuation than when it is expressed in physical terms. During the nineteenth century the situation becomes just the opposite. (10) Up to the end of the eighteenth century, the years in which prices are low are years in which national income is high; they are therefore the “good” years. During the nineteenth century the opposite is true. The list of differences could be considerably expanded; but we shall not go beyond the points enumerated here. When did these deep-seated transformations take place? As a result of which internal and external factors? Which of them came first, which later? How should they be dated? We are not yet in a position to answer all these questions, which represent a very rich area for future research. But what concerns us here is the concept of an economic system and of a theory of the operation of an economic system. 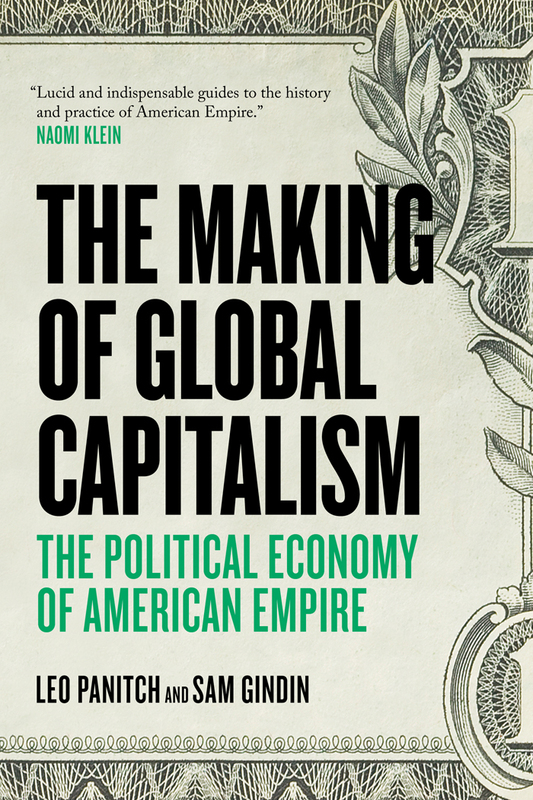 An economic system is a set of dependent, interconnected economic relationships which, precisely because they are interconnected, arise more or less contemporaneously and disappear more or less contemporaneously, giving way to other relationships. The empirical dating of their emergence and dissolution enables us to fix the limits of a specific economic system in time. To construct the theory of a determinate economic system means to establish (always empirically) the fullest possible totality of dependent relationships present within the system, and to explain the connections between these relationships. The same propositions can be formulated in another manner. 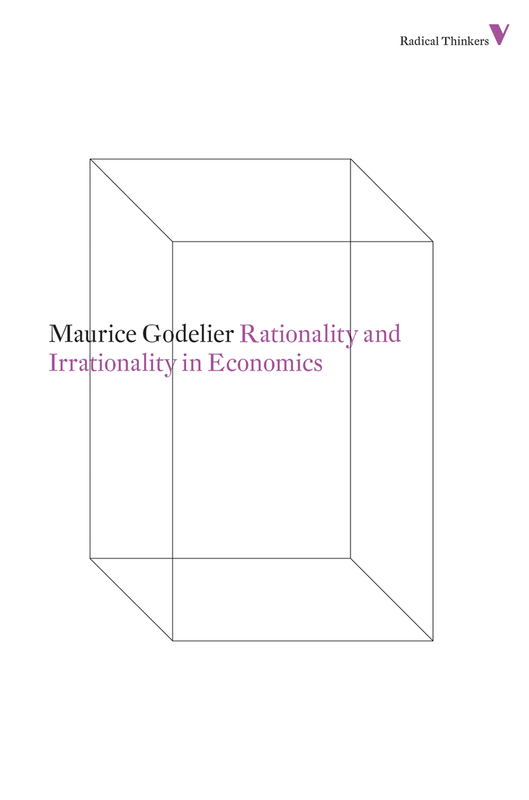 The construction of the economic theory of a specific system entails elaborating a system of interconnected equations. These equations must be made up of parameters, independent variables, and dependent variables. Once we know the parameters and have constructed the equations, we are then in a position to know what the dependent variables for every possible independent variable will be. It is obvious that the functioning of every system brings about, as a result of its cumulative effects, a gradual change in the parameters. The system of equations which has been elaborated (the theory) can be applied so long as the given parameters remain unchanged or change so little that the validity of the equations does not suffer. Obviously, the variability of the parameters can in turn be introduced into the system of equations, and this will be a further task for research. If it turns out that these variations are not oriented in a particular direction, we will then be dealing with a situation in which game theory can be applied. If, however, they are oriented in a particular direction (i.e. are cumulative), we will simply be expanding our system of equations. But since the parameters are always changing, since there is no totality of elements characterizing a specific social situation which completely regenerates itself, the issue becomes one of constructing a model which is flexible enough to be able to withstand the variations. Thus, in the present model of the operation of the Polish economy during the sixteenth to eighteenth centuries no account is taken of the possibility of investing borrowed capital in agricultural production, because the rate of interest on monetary loans exceeds the estates' profit margin. Although both these magnitudes are variable in time, it makes little difference to us whether the relationship between them is 7:4, 8:5, 85:45, etc. — the combination may vary. In this regard, the model is flexible and withstands variations on a larger scale. But the same model also has a tendency in the long run towards a decline in the interest rate on monetary loans while the profit margin of estates shows a relative stability. Consequently, these two trends must intersect sooner or later (in point of fact, it appears that they did not intersect before the founding of the Association for Agricultural Credit in 1825 [Towarzystwo Kredytowe Ziemskie]). And this represents the limit of the model's applicability; it is the moment when the model collapses, because the variations in the parameters have gone beyond the limit of its flexibility. In order to study the succeeding period, one would have to construct another model. In the present model (to give another example) we postulate that it is unprofitable to base the economy of the demesne on wage labour, even though wage labour is employed on almost all the demesnes on a limited scale. But the same model also contains the proposition that, despite all the efforts made by the nobility, the peasant will have a propensity to run away under certain conditions. So long as the migrant population is small, wage labour is costly and it is not always certain that there will be enough at the right moment. However, as soon as the labour market arises (despite the conscious efforts of the nobility opposing it, but as the unintended consequences of their actions), the data of the model undergo an essential change: manpower becomes inexpensive and is always available; it thus becomes possible to base the demesne's economy on wage labour. Landowners are given the possibility of choosing an option which did not exist during the period studied. The model collapses, and it becomes necessary to construct another one. Whenever a system suffers a violent collapse, most of the parameters almost immediately cease to have any validity. In this way we arrive, from a different angle, at the much debated question of the periodization of economic history. Some (“the realists”) hold that a good periodization should reflect the changeovers from one system to the next as they actually occurred in the course of history. Others (“the conventionalists”) maintain that all periodizations, however necessary given the limited power of our minds and the requirements of exposition, do violence to reality, the essence of which is a continuous, uninterrupted flow of changes.5 We shall attempt to consider this question by doing justice to both positions. It is beyond doubt that economic facts are subject to continual change. Everyone also acknowledges, in all likelihood, that this variability is directionless and chaotic for certain elements and within certain limits, whereas for other elements it is cumulative and oriented in a particular direction. This cumulative, oriented nature can be observed for the most part only over the long run, whereas over the short run we almost always have the impression of directionless variations. Finally, we might risk a generalization: in precapitalist societies many economic indices are subject to great fluctuations in the short run and only to very slow change in the direction of the trend; in industrial societies, however, the range of short-run fluctuations is reduced, but the trend of changes in direction is accelerated and becomes more pronounced (for example, the demographic coefficients, returns to land, etc.). There is, then, no doubt that certain elements change rapidly, others slowly or very slowly, and certain elements can be regarded as constant (even though they may vary greatly in the short run). In these conditions, whenever we enter into contact for the first time with source material left to us by the economic life of bygone eras, we naturally find ourselves confronted with a picture of infinite heterogeneity and enormous variability. The task which most research, from the beginning of economic history, has set for itself has been to “photograph” this heterogeneity and variability. 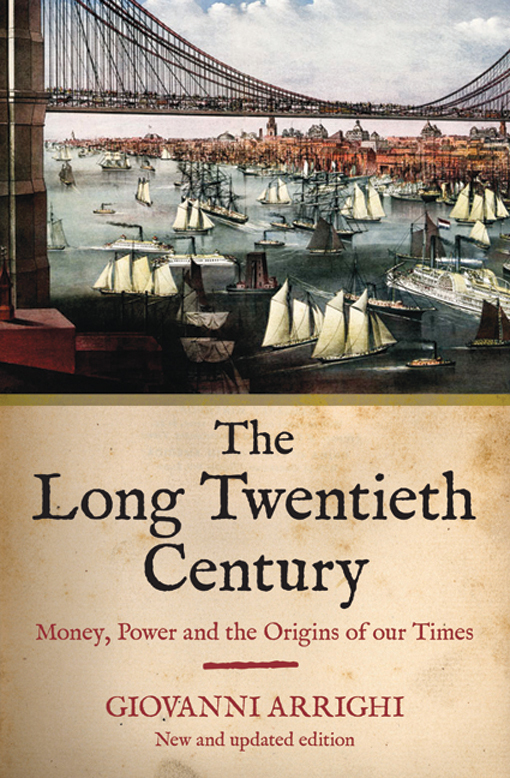 Economic history is event-centred quantitatively no less than other areas of historical sciences — and at times, even more so. It is true that these empirico-descriptive studies have been perhaps slightly more useful than in other areas of history, due to the mass nature of economic phenomena and the territorial dispersion of the sources for economic history. But there can be no doubt that it is not only meaningless, but also unrealizable to attempt to cover the historico-geographic map of the world with monographs on all the institutions existing at all times and places. The task of economic history is to understand how men have carried out their economic activity in various social situations. 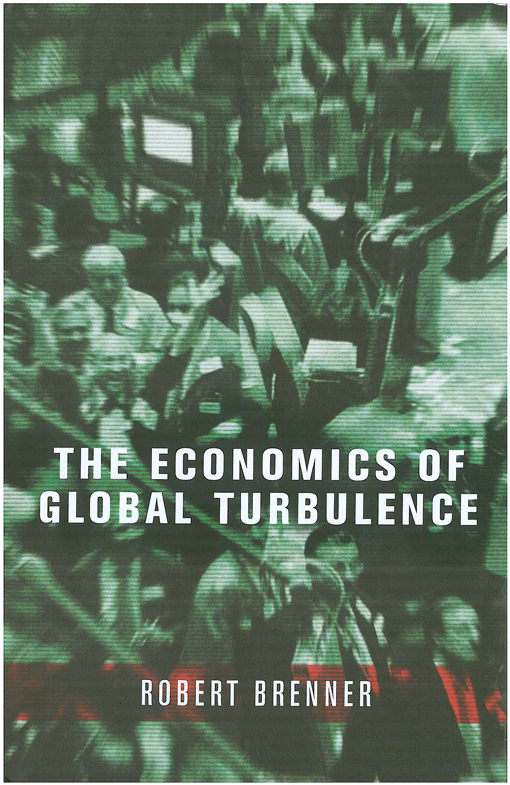 We want to know their economic behaviour, out of which recurring dependent relationships emerge, as an involuntary and unconscious result — a specific system which in turn determines their economic behaviour. 7 The “economic system” is precisely this system of enduring and recurring dependent relationships. If the model explains properly how the system functions, then the moment in which changes in the parameters exceed the flexibility put into the model is also the moment in which a real (not suppositional) historical break takes place. A well-constructed model ought to explain the operation of an economy and its adaptation to the independent variables, particularly those which are recurring. In this sense, a model of the preindustrial economy must explain the economy's adaptation to the “cycle of the harvest.” This is a classical example of a conjunctural element in the broadest meaning of the term (which obviously has nothing in common with the conjunctural cycle of the capitalist economy, apart from its recurring nature). But phenomena in this “conjunctural” sense usually include both reversible and cumulative elements. After one or a few lean harvests, the productive capacity of the existing forces of production in agriculture (particularly the land) generally returns to its previous level. 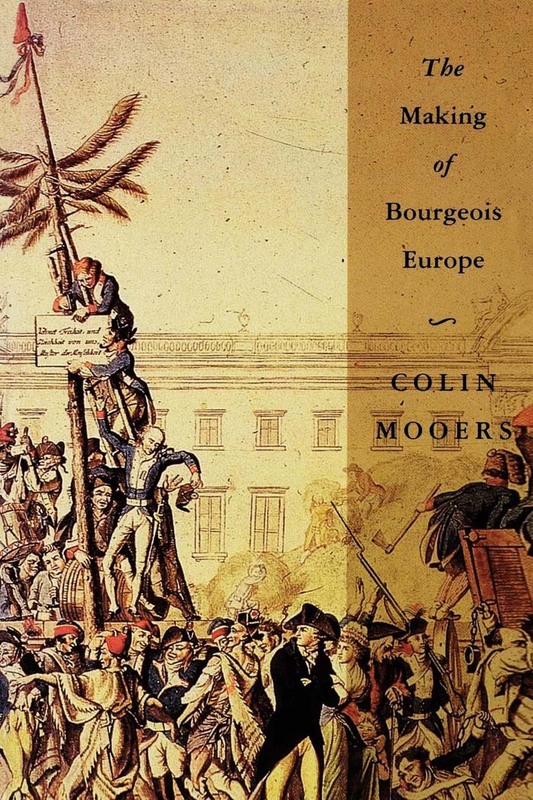 On the other hand, the process of accumulation of income, which is accelerated with every poor year (as has been excellently analysed by Labrousse for eighteenth-century France), is an example of a cumulative phenomenon. The same holds true for the changes in the structure of the peasant population: some categories are reduced to poverty, others, however, consolidate their economic position. If understood in this way, an ideal model ought to incorporate within itself the elements of its own demise. 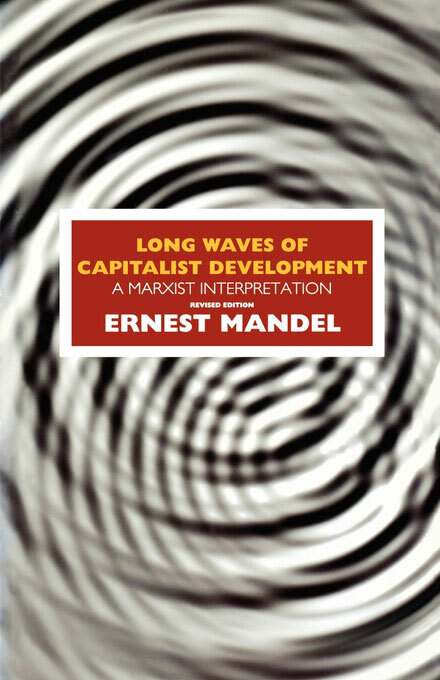 In other words, in analysing the functioning of a specific economic system we ought to be able to say what the causes of its downfall will be and also, at least in approximate terms, what the essential component elements of the system which takes its place will be — just as Marx, in his analysis of how capitalism functions, sought to uncover the factors which would lead to its disintegration and to delineate the primary characteristics of the system which would arise from its ruins. Clearly, the most intellectually satisfying model would be one which contained the elements of its own destruction. But can this demand always be met? A moment's reflection tells us that, first of all, every model ought to include certain “inputs” and “outputs” which link it to the economy of contemporaneous systems. Returning to the model of the Polish economy during the sixteenth to eighteenth centuries, it obviously includes an exceedingly important “output,” i.e. the hypothesis of an unlimited possibility of exporting Polish grain to Western Europe. These links were broken in 1806 when Napoleon declared the blockade, and for various reasons they were never restored. The English customs duties on grain, the growing importance of capital investments in agricultural production, the competition from Russian and then American grain made it impossible to return to the state of affairs of the sixteenth to the eighteenth century. It is obvious that these facts could not be foreseen within the framework of the model. Certain facts external to the model changed, and, as a result, the data of the economic calculations for each agricultural producer who produced for the market also changed. It is necessary therefore to construct a new model. Here, then, is an example — certainly not the only one — of changes external to the model which deprive it of validity. If we have failed, in the construction of the model, to take into account some economic or extra-economic element essential to the system's operation, we will become aware of this fact in comparing the model with reality. If such is the case, the model will not be able to explain reality. Many times, however, it happens that elements of no importance during the system's normal operation will become exceedingly important during the critical period in which the system is transformed into another one. It is here that the creative response discussed by Schumpeter enters into things. [This concept is formulated by Schumpeter in his Business Cycles (London, 1939), vol. I, p. 72: "By response we mean only what may be termed passive adaptation, i.e. adaptation within the fundamental data of the system. Adaptation may, however, consist in altering some of those data, and such creative response belongs to the class of internal change. — Trans.] It is men who, with their spontaneous activities, have constructed a system, and it will also be men who bring it down. How and when will they bring it down? This can only be partially deduced from the system we have analysed. At the beginning of this chapter we listed ten points — formulated perhaps in too categorical a way and to which others could be added — which seemed to us to indicate the fundamental differences between the model of the Polish economy set forth in this book and the model which takes shape for the Kingdom from 1820 to 1860. What took place in the interim? In the interim certain elements of the model, working with a cumulative effect, reached the outer limit of its elasticity. For example: the rate of interest on monetary loans dropped to the level of the agricultural estates' profit margin; the more or less illegal mobility of the population led to the near emergence of a wage-labour market in agriculture; the more or less lawful struggle of the peasants for access to the market gradually created the market. 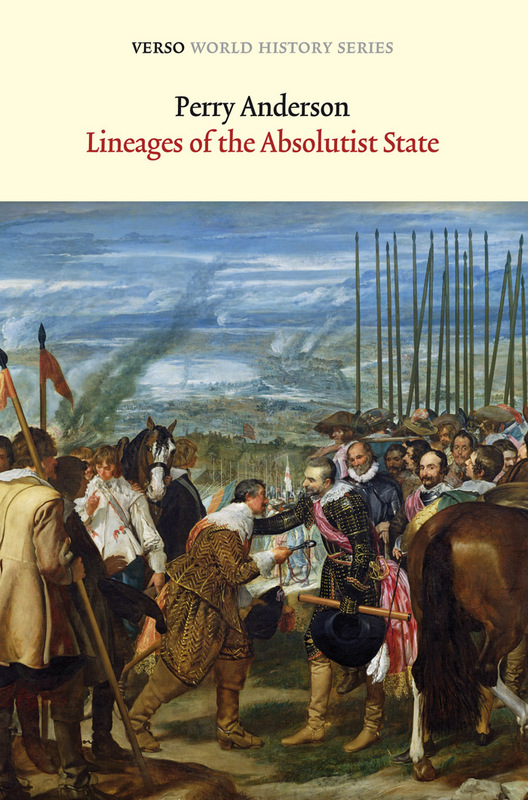 In the interim there were also the partitions, the threat to the country's independence, the struggle to defend the country, the Napoleonic wars, the fundamental institutional reforms (introduction of mortgage credit, strict taxation, the abolition of serfdom in the Duchy of Warsaw, etc.). And perhaps the most important event, the industrial revolution, took place outside this system in the interim. Outside it there arose a powerful, expanding system with which it could not compete. A secondary effect of this fact was a drastic and lasting limitation on the export of Polish agricultural produce. Economists say that at times it is impossible to link up two temporal chains if there is a great “structural discontinuity” between them. Perhaps this is just such a case. The same question could be formulated in a different way: Had the model presented here functioned for a longer period of time, would it have led to the rise of capitalism and to the industrial revolution? The elements of the model for the years 1820 to 1860, as outlined in this chapter, unquestionably allow us to perceive a model in which accumulation takes place and which leads to capitalism. Is the transition from our model to a model characterized by accumulation a necessary and logical one? Or is it true, perhaps, that our model in and of itself actually goes nowhere? 1. Kula, Rozważania o historii, pp. 42-60. 2. W. Kula, Kształtowanie się kapitalizmu w Polsce (The Formation of Capitalism in Poland) (Warsaw, 1955). 3. Kula, Szkice o manufakturach, pp. 385, 465-7, 664. 4. Kula, Problemy i metody historii gospodarczej, chapter "Periodyzacja historii gospodarczej” (The Periodization of Economic History). 5. For example, L. Beuthin (Einführung in die Wirtschaftsgeschichte, Cologne-Graz, 1958, p. 137) writes that “oder chaotische Strom der Geschichte ist anders nicht zu iberlicken” (otherwise it is impossible to get an overview of the chaotic whirl of history). A similar attitude is taken by N. S. B. Gras, "Stages in Economic History,” Journal of Economic and Business History, May (1930); periodization is nothing but a sad necessity for him. 6. There is concealed here a serious difficulty for statistical historical research. For periods that are far removed from us, the historian is often forced to make use of isolated data, from a particular year in which a part of the source material was preserved - whereas it is precisely for periods of time which are far removed from us that this procedure is very dangerous. This difficulty has escaped Marczewski, who maintains just the opposite: “Short-term fluctuations are . . . not at all deep-rooted . . . The structure of consumption, of foreign trade, of the different agricultural crops, of the total population and the active population, and of many other factors possess a sufficient degree of stability.” J. Marczewski, “Histoire quantitative, buts et méthode,” Cahiers d’ISEA, n. II, 5, pp. xi and xxviii. Can the structure of e.g. consumption be stable in an age in which years of famine and of great rises in prices recur periodically? 7. These relationships are termed by O. Lange “laws of the inter-operation or interplay of human actions.” Cf. in general with regard to this subject, O. Lange, op. cit., pp. 59 ff. and particularly 70 ff. 8. Marczewski, art. cit, p. xxxvii. A particular sore spot in economic history has been those countless “syntheses” of the economic history of individual countries and individual periods (even if they were, perhaps, useful at one time), which accumulate facts without making any connections between them; in these works many facts could be left out, just as many added, the order of the chapters changed, without doing damage to the body of the work. I believe that there is good reason to have nothing but disdain for such “syntheses”; nonetheless, one can legitimately ask whether these facts were actually interconnected in the social and economic reality studied in these books. Or, which of them were interconnected and which not? One of the reviewers of this work, A. Maczak, has rightly pointed out that one of the merits of research designed with the aim of constructing a model in mind is the fact that it alone enables us to make comparative analyses, which are beyond the reach of those works based on the mere compilation of facts. 9. A. Mączak, O przydatności modeli ekonomicznych na przykładzie wiejskiej gospodarki feudalnej (On the Usefulness of Economic Models of the Rural Feudal Economy), Kwartalnik Historyczny, LXX (1963), pp. 675-90. 10. Z. Bauman, review of W. Kula, Teoria ekonomiczna feudalizmu, Studia Socjologicazne, 3 (10) (1963), pp. 219—28. 11. C. Lévi-Strauss, Leçon inaugurale au Collège de France(Paris, 1960), pp. 35-6.